If you're someone who tends to forget where you left your phone, you should seriously consider installing a cell phone locator on your device. According to studies, once you lose your smartphone, there's a 50/50 chance that you will still get it back. However, chances are higher that the person who will find your lost phone will look into your apps and whatever private information is in your smartphone. Clearly, there's a lot of risk that comes with losing a cell phone, especially when it comes to sensitive information. Thus, proper data/device management and security policies need to be in place. In this case study by Symantec, 50 smartphones were left intentionally in various places, including, San Francisco, Washington, D.C., Los Angeles, New York, and Ottawa, Canada. The smartphones were placed in locations that were easy to find, like public restrooms and food courts. None of the smartphones had any security features like passwords to restrict access. Instead, they were loaded with numerous apps and dummy files which contained fake information. Researchers also installed some cell phone spy software on each phone to keep track of what finders would do with the smartphones. Not only did such software track a cell phone, but it also send reports to the researchers. It was found that among 72 percent of those who found the devices attempted to access photos, and 57 percent went on to open a folder named 'Saved Password'. Also, 43 percent attempted to open a file named 'Online Banking'. According to experts, what the finders did can be considered as an unethical access attempt. 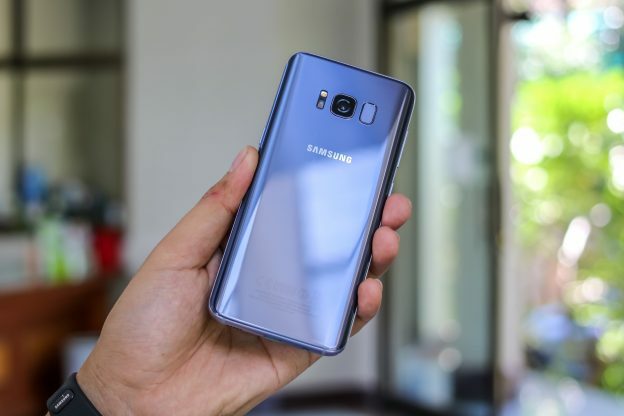 Another alarming fact is that of all the people who found the devices, only half of them tried to contact the owner of the phone although their contact details were stored and prominently listed in the contact list of the phone. a. Make sure that your phone has a password, or the 'draw to unlock' pattern to block unauthorized access to it. b. Utilize any security software specifically designed for mobile devices and smartphones. This software has the ability to wipe the phone's memory from remote locations, so you can erase all the information on your phone. c. Install a cell phone locator on your smartphone. Certain programs like Highster Mobile phone spy come with cell phone locator features that allow owners to track the exact location of their devices. What's amazing about Highster Mobile also is that it allows you to monitor the activities on your phone, such as text messaging, web browsing, and social networking. It also has a stealth camera feature that activates the phone's camera and takes photos of its surroundings. This entry was posted in For Parents, Highster Mobile App and tagged cell phone locator, cell phone spy, track a cell phone on January 14, 2016 by admin. Highster Mobile has earned its reputation as being one of the most reliable cell phone tracking solutions, thanks to its unique and powerful features. Whether you need to monitor your kids, employees, or even your spouse, you can use Highster Mobile and be satisfied with the results. What’s more, it is very easy to install and use, so even an average person won’t have any troubles using the software to spy on text messages and phone calls. Here we are going to look at some features that make Highster Mobile stand out in the mobile tracking industry. 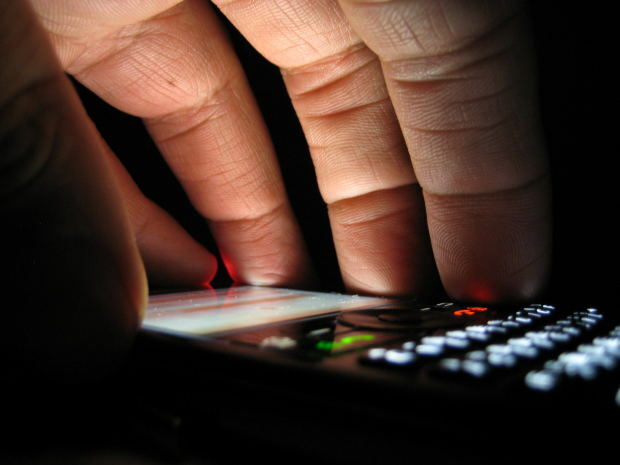 Tracking text messages on target phones is a feature that is common to most mobile spy apps, but the unique thing about Highster Mobile is its ability to retrieve even the deleted messages. And so, this is what you need if you want to know who your child has been texting to, and what your employees are sending through their mobile phones. 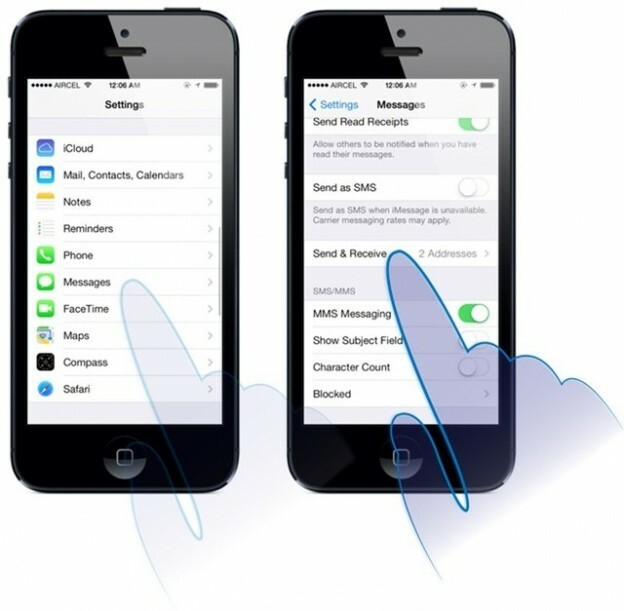 Higher Mobile’s text message logs contain not only the entire text message, but also the phone number of the sender and receiver of the messages. You will also see in the report the date and time the exchange of messages took place. This special feature of Highster Mobile has been proven really helpful for parents who always wonder where they kids are when they aren’t home. Company owners also benefit from this feature as it lets them know what their employees are doing during office hours. This GPS feature involves a reporting system that is based in real time, and is updated every ten minutes. Compared to any other mobile tracking software, Highster Mobile is without a doubt the most user-friendly. 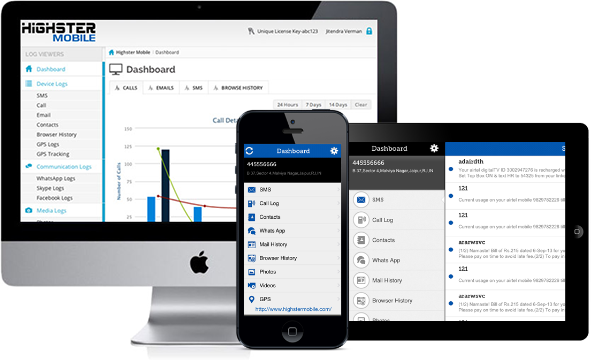 Its Live Control Panel feature allows users to have access to all the details related to the target phone. For instance, users can use the advanced settings for time triggers, logs, display options, and so on. What users love so much about the Live Control Panel is that it enables them to see all the information gathered from the target phone in real time! The stealth camera is another user-favorite. With Highster Mobile, all you need to do is initiate the camera on the target phone to start taking pictures of the surroundings. You can then view these photos using your cellphone or through your online account. There are so many other great features Highster Mobile is offering. But all of these will just be statements until you really try using Highster Mobile yourself. When it comes to monitoring the cell phone activities of your child, spouse or employee, nothing beats Highster Mobile, one of the best apps to spy on text messages. This entry was posted in Highster Mobile App and tagged an app to spy on text messages, app for spying text messages, app for tracking text messages, app spy text messages, app that tracks text messages, apps that spy on text messages, best app to spy on text messages, best apps to spy on text messages, cell phone locator, cell phone spy apps, cell phone spy text messages, cell phone spying software, gps cell phone locator, gps cell phone tracking, gps locator, gps phone tracker, gps track cell phone, how to spy on cell phone, mobile phone spyware, mobile sms spy, phone detective, phone spy, phone tracer, phone tracker app, phone tracking, record cell phone calls, spy app text messages, spy apps, spy apps for cell phones, spy cell phone tracker, spy on any cell phone, spy on cell phone, spy on cell phone text messages, spy on text, spy on text messages and phone calls, spying on cell phones, text message monitoring, text message spy, text messages spy, trace a cell phone location, track cell phones, tracker software, tracking text messages on February 18, 2015 by admin. When it comes to choosing the best cell phone spy tracking, there is no doubt that Highster Mobile spy should be one at the top of your list. My goal in this post is to help you understand how this software works and how you may benefit from its numerous amazing features. While it is true that there are lots of products reviews out there that could help you decide which product to invest in, there is no guarantee that they came from reliable sources. What you’re going to read here is a review of Highster mobile spyware based on my own experience. I have been using this software for almost a year, and I must say that I am satisfied with its performance, and this is what prompted me to recommend it to other parents like me. Basically, Highster works by first accessing and gathering data from the target device. This is possibly only after you have installed the software on the target mobile phone. Thus, it is important that you have access to the phone you want to spy on. All you need to do is download a link, which you will receive upon making your purchase. Once the software has been downloaded and installed, you may start monitoring the phone. All the data taken from the target phone will be uploaded to your Secure Online Account. This data will appear in your control panel as it is in the monitored device. You may then access your online account through your computer or mobile phone. Is Highster Mobile Compatible with Any Mobile Device? One of the best things about Highster Mobile is that it can be used with any model of mobile phone. Whether your phone is running on an iOS or Android perhaps, you will not have any problems installing and using it. What Features Does Highster Mobile Have? There are lots of great features that Highster Mobile comes with, and you can take advantage of all of them for monitoring your child, your employees, and even your spouse. With all the great features and the simplicity of installing Highster Mobile, there is no doubt that it is the best app to spy on cell phone. This entry was posted in Highster Mobile App and tagged an app to spy on text messages, app for spying text messages, app for tracking text messages, app spy text messages, app that tracks text messages, apps that spy on text messages, best app to spy on text messages, best apps to spy on text messages, cell phone locator, cell phone spy apps, cell phone spy text messages, cell phone spying software, gps cell phone locator, gps cell phone tracking, gps locator, gps phone tracker, gps track cell phone, how to spy on cell phone, mobile phone spyware, mobile sms spy, phone detective, phone spy, phone tracer, phone tracker app, phone tracking, record cell phone calls, spy app text messages, spy apps, spy apps for cell phones, spy cell phone tracker, spy on any cell phone, spy on cell phone, spy on cell phone text messages, spy on text, spy on text messages and phone calls, spying on cell phones, text message monitoring, text message spy, text messages spy, trace a cell phone location, track cell phones, tracker software, tracking text messages on February 17, 2015 by admin. If you are a parent of a teenager who is so excited to learn how to drive, you must have a lot of apprehension about him or her getting behind the wheel. But since it is a necessity also that your child learns to drive, all you can do is give them tips and constant reminders on how to be a good and safe driver. In this situation, you will also find it very helpful to use a monitoring program to spy on cell phone. According to studies, teens that are required by their parents to follow certain sets of rules regarding driving are less likely to get involved in a crash. But what rules are going to be enough to make sure your teen is safe while he or she is enjoying driving? Here are some tips for parents when it comes to guiding their teens’ driving. 1. The rules and boundaries you set should be very clear to your teen. It is not always good for parents to demand their teens to do as they say. As you set the boundaries and rules that your teen should follow when driving, it is important that you make sure your child understands what your expectations are. 2. Explain that it’s not about you controlling them, but it’s about keeping them safe. Teens these days don’t like the feeling of being controlled by their parents. They want to feel they are in control of their lives. Thus, you must explain to them carefully that you are setting these rules to keep them safe all the time. If they have concerns and even objections to your set rules, be sure to listen to them so you would know how they feel about the whole thing. If there is a need for you to modify some parts of the rules, then you have to be open-minded about it. There is no use telling your kids to follow rules if you don’t know how to drive properly. Show them that you abide by the rules of the road. 5. Keep your communication lines open. When your child needs to go somewhere, ask him or her where they are going and how or when they will be home. Knowing the details of your teen’s trip will prevent you from worrying too much. Using reliable mobile phone tracker software is also a good alternative if you want to ensure the safety of your child. Highster Mobile spy allows you to see the exact location of your child’s phone through its GPS locator. This way, you will know if your child has reached their destination safely. This entry was posted in For Parents and tagged an app to spy on text messages, app for spying text messages, app for tracking text messages, app spy text messages, app that tracks text messages, apps that spy on text messages, best app to spy on text messages, best apps to spy on text messages, cell phone locator, cell phone spy apps, cell phone spy text messages, cell phone spying software, gps cell phone locator, gps cell phone tracking, gps locator, gps phone tracker, gps track cell phone, how to spy on cell phone, mobile phone spyware, mobile sms spy, phone detective, phone spy, phone tracer, phone tracker app, phone tracking, record cell phone calls, spy app text messages, spy apps, spy apps for cell phones, spy cell phone tracker, spy on any cell phone, spy on cell phone, spy on cell phone text messages, spy on text, spy on text messages and phone calls, spying on cell phones, text message monitoring, text message spy, text messages spy, trace a cell phone location, track cell phones, tracker software, tracking text messages on February 16, 2015 by admin. As parents it’s not always easy to simply leave your kids anywhere. Even if they are in school, you cannot imagine the different ways that these kidnappers can weave their way to fool your kids’ hearts. I’m not saying my kids or your kids are not smart, but we are talking about preying adults who are experts on kidnapping kids by different ways and methods that we could ever imagine. What we can do now on our part is be vigilant. 1. Cell phone Tapping Software – One way to keep track with the different people that your kids are talking, messaging, e-mailing and texting. By using this Spy and Tracking Software, you can remotely monitor the different activities of your kid’s cellphone. What’s so great about this is that your kids would not be aware of this and that the said software includes a GPS logging device for you to know where they are. 2. Buddy System – To teach pro activeness and awareness to your kids, always keep a close communication with them and truly show that you are his/her confidante and forever ally. Teach your kids about buddy system wherein you teach your kid to watch out for you as you do with him/her. Tell your child that once she cannot see you tell him/her to call out. 3. The More the Merrier – Those parents who have kids old enough to go to the park with friends to places like malls, parks and playground it would be best to tell them to be with a lot of friends. Most of the time kidnappers would take kids who are playing alone. They don’t usually target those kids when they are with three to four buddies, especially if they are in places when there are lots of people. 4. The Classic “Never Talk to Strangers” line – We all know that kids could be very amiable as this is one of the most endearing characteristic of children. However, this can be a huge problem if they don’t know how to differentiate a smooth-talking stranger from “safe strangers” like policemen, store clerks, security guards etc. Help them be aware that no matter who they talk to, as long as they don’t know that person, they should learn to run away in an instant and go to a trusted adult that they know. Inculcate in them vigilance that there is danger when talking and receiving gifts from strangers. It may not be as poisonous as the apple that Snow White took but receiving anything from strangers can be equally deadly. Summary: The first part talks about the fears that parents have when it comes to the safety of their kids. The writer then particularly points out the threat of kidnapping kids. The article also tells of the different ways they can protect their kids from using technology like the Cell phone Tapping Software to the classic “Never talk to Strangers” bit. Profile: The author is a Corporate Lawyer of an oil company. She is a mother to two adorable kids and wife to Michael. She is often traveling from one state to another to do transactions but when not busy with work she is self-proclaimed busy homemaker spending quality time with her kids. This entry was posted in For Parents and tagged an app to spy on text messages, app for spying text messages, app for tracking text messages, app spy text messages, app that tracks text messages, apps that spy on text messages, best app to spy on text messages, best apps to spy on text messages, cell phone locator, cell phone spy apps, cell phone spy text messages, cell phone spying software, gps cell phone locator, gps cell phone tracking, gps locator, gps phone tracker, gps track cell phone, how to spy on cell phone, mobile phone spyware, mobile sms spy, phone detective, phone spy, phone tracer, phone tracker app, phone tracking, record cell phone calls, spy app text messages, spy apps, spy apps for cell phones, spy cell phone tracker, spy on any cell phone, spy on cell phone, spy on cell phone text messages, spy on text, spy on text messages and phone calls, spying on cell phones, text message monitoring, text message spy, text messages spy, trace a cell phone location, track cell phones, tracker software, tracking text messages on February 12, 2015 by admin. Bullying in school has become a huge problem in the society today. As a result, many of our young people develop fear of going to school and having to deal with their bullies. What’s worse about it is that bullied kids feel they are alone in this battle, but simply because teachers, parents and other adults are not aware of it. Fortunately, modern technology now has the power to help parents protect their children from bullying through the use of tracker software. Bullying takes place when an individual is picked on repeatedly by another person or even a group who seems to have more power of authority on the former. So why does this happen? Why would one person want to bully another person? There are two primary reasons why people end up getting bullied. First of all, bullies love picking on those people who they think don’t fit in, perhaps in terms of their physical appearance, their behavior, their religion, race, and even their sexual preference. The other reason for bullying is the difference in social status among people. Kids, for instance, who come from wealthy families tend to think they have power or authority over those kids who don’t have the same social status as them. There are several ways bullies attack their targets. Many do it physically, which could involve punching, hitting, tripping or shoving another person. Sadly, some would even assault their victims sexually. In many other cases, bullying happens in the form of verbal insults or psychological abuse. For instance, people who belong in a particular group may end up gossiping other people who do not belong to them. Teasing another person is also a form of bullying. Finally, there is cyberbullying. This is when a bully sends mean messages, texts or anything insulting or offensive about a person through social media. This is a common type of bullying these days because of the popularity of social media. As mentioned earlier, access to social media could lead a child to get involved in bullying – whether he is the attacker or the victim. If you want to protect your child against bullies, one way you can do this is by monitoring his or her cell phone. While you may not be convinced that to spy on cell phone is the solution to this problem, you have to consider its great benefits. By spying on their phone with Highster Mobile, you will know who your child is exchanging texts and calls with. You can also have access to your child’s social media accounts. Getting these pieces of information will be a great help as you try to keep him or her away from bullies. This entry was posted in For Parents and tagged an app to spy on text messages, app for spying text messages, app for tracking text messages, app spy text messages, app that tracks text messages, apps that spy on text messages, best app to spy on text messages, best apps to spy on text messages, cell phone locator, cell phone spy apps, cell phone spy text messages, cell phone spying software, gps cell phone locator, gps cell phone tracking, gps locator, gps phone tracker, gps track cell phone, how to spy on cell phone, mobile phone spyware, mobile sms spy, phone detective, phone spy, phone tracer, phone tracker app, phone tracking, record cell phone calls, spy app text messages, spy apps, spy apps for cell phones, spy cell phone tracker, spy on any cell phone, spy on cell phone, spy on cell phone text messages, spy on text, spy on text messages and phone calls, spying on cell phones, text message monitoring, text message spy, text messages spy, trace a cell phone location, track cell phones, tracker software, tracking text messages on February 11, 2015 by admin. Are you bothered all the time of the day and can’t even sleep peacefully at night thinking that your spouse might have been cheating on you? If you do, it is time to start looking for the best cell phone spyware software. Your next major challenge would be finding a spyware that suits your specific needs and requirements. Well don’t worry; downloading and installation of such system can be simple and easy by reading reviews online. As you begin your search for the recent spyware for smart phones, it will probably give you an insight on which programs are the most dependable, most accurate and most discreet. With regards to buying products like this, awareness is paramount. What To Consider When Downloading A Spyware? The very first thing that you should take into consideration is the comprehensiveness of the software. Of course, reading testimonies and reviews how effective a spyware is helpful. But is this enough? No it is not! Honest reviews from customers are just your basis; there are still lots of things that you have to feed your mind. When searching for a software program, don’t forget to consider some essential details regarding the product. For example, check if it is compatible in your device, what are the requirements that ask prior to the installation, what are the key features of the software and the likes. These things will determine the spyware you should get for your device. As much as possible, go for a software program that can run on different smart phone platforms such as Blackberry, Apple’s iOS, Android devices and Windows 8 OS for mobile devices. This way, no matter what device you are using, you can be certain to install the software without difficulty. Last but not the least; see to it that you are well versed of the software’s functionality once it is installed. The best cell phone spyware software could not just record text messages or phone calls. It must provide wide variety of service from tracking a person’s location, email logs, stealth camera mode on the device, being completely undetected by the targeted device, monitor address books, keyboard logs and a whole bunch of different features. Never rush on downloading a spy software application for your cell phone. Doing so may potentially bring negative effects to your device. Instead, allot a portion of your time in carrying out research to ensure that you are going to get the best cell phone spyware software. Summary: Downloading spyware software for your mobile device shouldn’t be that hard; make it simple and easy by following these 3 basic tips. Author: The author is an experienced blogger and software analyst, which has given him top notch information on proper ways to find the best spyware for cell phone. This entry was posted in Highster Mobile App and tagged an app to spy on text messages, app for spying text messages, app for tracking text messages, app spy text messages, app that tracks text messages, apps that spy on text messages, best app to spy on text messages, best apps to spy on text messages, cell phone locator, cell phone spy apps, cell phone spy text messages, cell phone spying software, gps cell phone locator, gps cell phone tracking, gps locator, gps phone tracker, gps track cell phone, how to spy on cell phone, mobile phone spyware, mobile sms spy, phone detective, phone spy, phone tracer, phone tracker app, phone tracking, record cell phone calls, spy app text messages, spy apps, spy apps for cell phones, spy cell phone tracker, spy on any cell phone, spy on cell phone, spy on cell phone text messages, spy on text, spy on text messages and phone calls, spying on cell phones, text message monitoring, text message spy, text messages spy, trace a cell phone location, track cell phones, tracker software, tracking text messages on February 10, 2015 by admin. This review of Highster Mobile phone spy software is aimed at giving you all the information you need to know about this app. Of course, before you make any kind of investment, you would need to make sure you read a couple of reviews of the best apps to spy on text messages. This way, you will see all the features of Highster Mobile that make it the best cell phone spyware on the market. The earlier versions of Highster Mobile had a feature that allows users to log text messages. But now, it has the ability to log messages in certain apps such as Instagram, Facebook Messenger, WhatApp, Viber, Skype, and Blackberry Messaging. 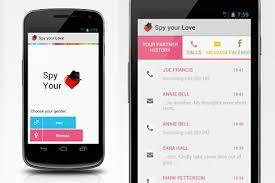 This feature shows that this cell phone spy app is continuously being developed to offer great service to users. If you are wondering who the user of the target phone is exchanging emails with, this feature of Highster Mobile is what you should use. You will have access to the email account, which means you will be able to see the sender or receiver of the emails, and the content of the emails as well. This GPS tracking feature will let you see the exact location of the target phone whenever you want. This way, you can monitor the whereabouts of your kids, employees and even partner. It can surely give you peace of mind knowing who’s calling the target phone. You will not only get the name of the caller, but also the time of call and its duration. The best part of this feature is that it even lets you listen to the conversation through a recording. In case you lose your phone and you wish to lock it for security purposes, you can do so with Highster Mobile. This is an awesome feature that will prevent strangers from having access to all the information you have on your phone. Your child has limited access to the internet with his or her mobile phone, but how sure are you they are viewing age-appropriate content? This mobile phone tracking software gives you access to the web browsing history of the target phone so you would know what websites the user is visiting on a regular basis. When it comes to choosing the software to spy on text messages and phone calls, there is no doubt that Highster Mobile is the name you should trust. Aside from all its great features, you will also love the fact that it is a one-time fee, so you don’t have to worry about spending too much for monitoring. This entry was posted in Highster Mobile App and tagged an app to spy on text messages, app for spying text messages, app for tracking text messages, app spy text messages, app that tracks text messages, apps that spy on text messages, best app to spy on text messages, best apps to spy on text messages, cell phone locator, cell phone spy apps, cell phone spy text messages, cell phone spying software, gps cell phone locator, gps cell phone tracking, gps locator, gps phone tracker, gps track cell phone, how to spy on cell phone, mobile phone spyware, mobile sms spy, phone detective, phone spy, phone tracer, phone tracker app, phone tracking, record cell phone calls, spy app text messages, spy apps, spy apps for cell phones, spy cell phone tracker, spy on any cell phone, spy on cell phone, spy on cell phone text messages, spy on text, spy on text messages and phone calls, spying on cell phones, text message monitoring, text message spy, text messages spy, trace a cell phone location, track cell phones, tracker software, tracking text messages on February 9, 2015 by admin. When it comes to choosing a new mobile phone, there are many different things consumers are looking for. Some want the most sophisticated features on their smartphones, while others simply want functionality and durability. There is also a growing number of people who want a cell phone that is compatible with the best apps to spy on text messages. Despite the many different apps and features that each brand of mobile phone has and claims to be unique from others, there is one thing that still remains on every user’s wish list – a good camera. We all enjoy taking photos as these serve as a reminder of the good times we have with our friends and loved ones. And we all rejoice with the emergence of camera phones as they make taking pictures easier and more accessible to everyone. If you love mobile phones with a big screen and can perform really well, the Samsung Galaxy Note 4 is for you. It is also popular for its stylus, which makes scribbling on your mobile phone possible! The iPhone 6 Plus is Apple’s answer to the growing demand for smart phones with huge screens. Although it is different from all the other iPhone devices in the past, it was Apple’s bestseller in the previous year. It may be expensive, but it has one of the best phone cameras you can have. The Nexus 6 is believed to follow the Samsung Galaxy Note 4 in terms of processor performance and basic features. Nevertheless, it remains to be the most powerful handset that runs purely on Android. The Z3 is by far Sony’s best Xperia unit. It comes with a really good display and powerful features that can very well compete with LG, Samsung and even HTC. Although the iPhone 6 comes with a really huge screen, it is still very easy to handle. What makes this smart phone extra special, aside from its astounding camera, is the availability of Apply Pay. If you want a mobile phone that has huge storage capacity, this one may not be for you. But if you want one that has an amazing display, really good features and a not so expensive mobile device, Nokia Lumina is the perfect choice. 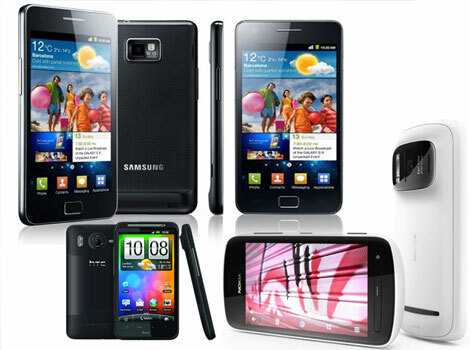 All these mobile phones are made to satisfy every user’s need for a high quality phone camera. And if you are to use any of these phones to spy on text messages and phone calls using Highster Mobile spyware, you will not be disappointed with the quality of photos it will produce as you spy on the target phone. This entry was posted in Highster Mobile App and tagged an app to spy on text messages, app for spying text messages, app for tracking text messages, app spy text messages, app that tracks text messages, apps that spy on text messages, best app to spy on text messages, best apps to spy on text messages, cell phone locator, cell phone spy apps, cell phone spy text messages, cell phone spying software, gps cell phone locator, gps cell phone tracking, gps locator, gps phone tracker, gps track cell phone, how to spy on cell phone, mobile phone spyware, mobile sms spy, phone detective, phone spy, phone tracer, phone tracker app, phone tracking, record cell phone calls, spy app text messages, spy apps, spy apps for cell phones, spy cell phone tracker, spy on any cell phone, spy on cell phone, spy on cell phone text messages, spy on text, spy on text messages and phone calls, spying on cell phones, text message monitoring, text message spy, text messages spy, trace a cell phone location, track cell phones, tracker software, tracking text messages on February 6, 2015 by admin. In a survey conducted by AVG, it turned out that 60 percent of the parents who took part in the study secretly monitor their children’s Facebook account. While many would say that parents have the right to spy on their kids, some are still reluctant to do so as it is a manifestation of lack of trust within the family. In your case, would you spy on text messages and phone calls of your kids? Parents have different opinions on this mainly because they also vary in terms of the kind and level of privacy they allow their kids to have. Our aim here is to find out when it is and is not proper to spy on your kids. Young people obviously lack the right reasoning skills. In fact, most teenagers don’t care much about the future consequences of their actions, and are more concerned about how good they feel about doing something. That can easily cause some trouble on kids. By making personal information accessible online, sending inappropriate photos and getting in touch with strangers online, they clearly put themselves in great danger. With the help of mobile phone spy software, parents can find out who their kids are meeting online, and with the help of its GPS tracking feature, parents have a way to know the whereabouts of their children. These may seem like petty things to some, but these can save the lives of young people. It’s very clear that using the best apps to spy on text messages on your child’s phone is a breach of his or her privacy. Once your child discovers that you are secretly reading their text messages and even listening to their phone conversations, a serious conflict may arise. But then again, if you are the legal owner of your child’s mobile phone, and your child is technically underage, you have all the right to spy on your child. You are doing this for your child’s safety after all. It is really hard to say whether spying on your child’s mobile phone is proper or improper. Parents have different reasons to do so as well. If you decide to use a mobile phone tracker anyway, just make sure you do so with the right purpose in mind. It would be wrong to use the information you get from it against your child or your child’s circle of friends. You are doing this for your child’s safety, and you should keep it that way. Highster Mobile is a powerful and reliable cell phone spy program that allows you to access necessary information from a target phone. You can use it to spy on text messages and phone calls and even get your child’s location through its GPS tracking feature. This entry was posted in For Parents and tagged an app to spy on text messages, app for spying text messages, app for tracking text messages, app spy text messages, app that tracks text messages, apps that spy on text messages, best app to spy on text messages, best apps to spy on text messages, cell phone locator, cell phone spy apps, cell phone spy text messages, cell phone spying software, gps cell phone locator, gps cell phone tracking, gps locator, gps phone tracker, gps track cell phone, how to spy on cell phone, mobile phone spyware, mobile sms spy, phone detective, phone spy, phone tracer, phone tracker app, phone tracking, record cell phone calls, spy app text messages, spy apps, spy apps for cell phones, spy cell phone tracker, spy on any cell phone, spy on cell phone, spy on cell phone text messages, spy on text, spy on text messages and phone calls, spying on cell phones, text message monitoring, text message spy, text messages spy, trace a cell phone location, track cell phones, tracker software, tracking text messages on February 5, 2015 by admin.